It has been a while since the sharing economy became the next big thing, mainly with companies like Airbnb, Uber and WeWork. But how about sharing a kitchen that supports a community? 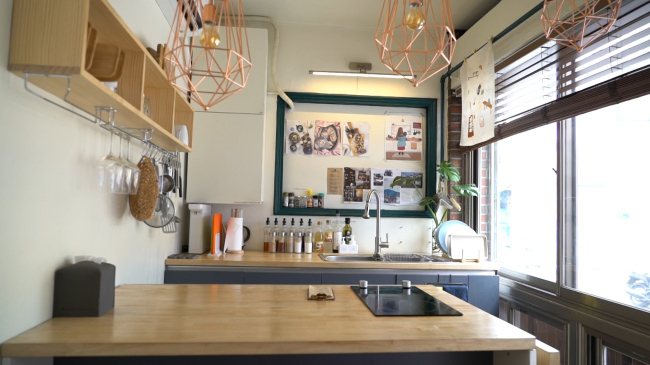 Located in Huam-dong, central Seoul, Huam Kitchen is a shared kitchen that can be loaned to users for a few hours. 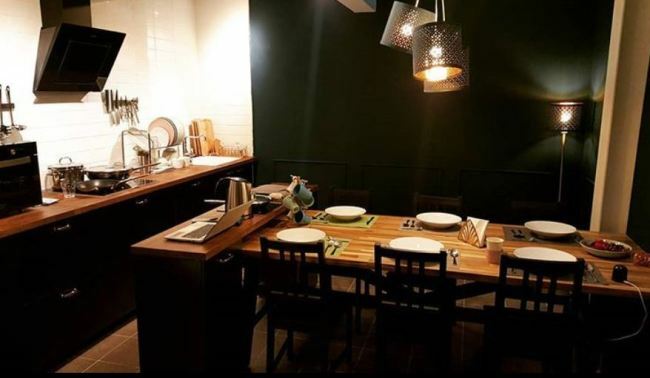 The space is basically an ordinary kitchen with everything you need for cooking prepared, including basic condiments, spices, cooking utensils and tableware. After making a reservation online, users can show up at the kitchen with the necessary ingredients. As it can be hard to purchase the right amount of ingredients for a single use, the equipped refrigerator offers leftovers from previous users, from fresh cream and butter to onions and salad sauces. Various memo stickers decorate the kitchen space, such as “push the door slightly to open” and how to adjust the temperature of water. For users cooking in the kitchen for the first time, the memos help make them feel at home. After cooking, users have to clean up the space so that it can be used for following reservations. It is thoroughly cleaned again by the management staff during the break time. The rental fee costs between 7,000 ($6) and 10,000 won for an hour. “Usually young people in their 20s and 30s visit in couples. 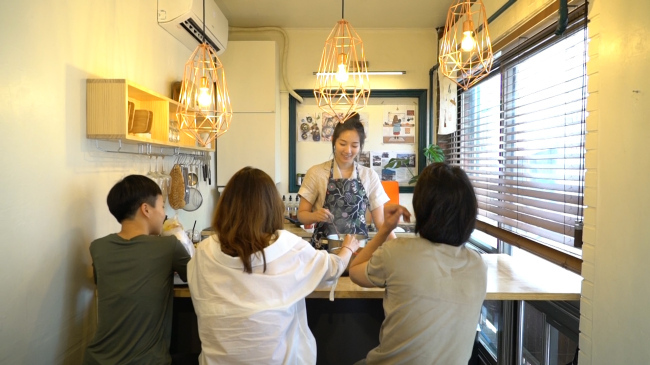 Around 30 percent of the users are friends, people who really love cooking or those with other specific purposes related to work or studying,” manager Lee Joon-hyung, who is in charge of Huam Kitchen, told The Korea Herald at the shared space Thursday. Social media serves as a communal diary for Huam Kitchen. 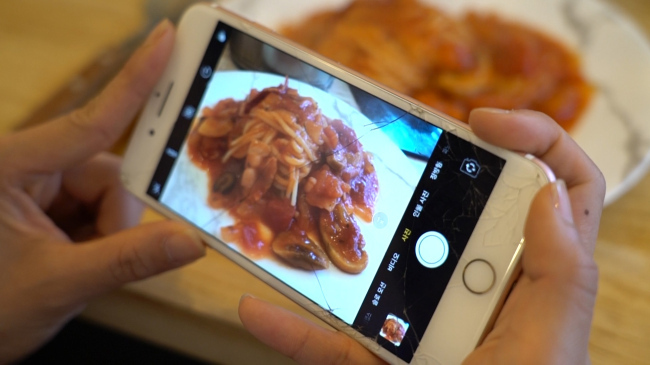 Users usually cook Italian food and sometimes Korean dishes, social media posts mentioning the cooking space suggest. “A man proposed to his girlfriend here. He prepared everything from dishes to decorations and invited her,” Lee said. Even without personal encounters with the users, the manager can see what people cook and do at the kitchen. “On Parents’ Day, users invited their parents. It’s a special event when considering how our parents usually cook for us,” he added. It is hard to make a reservation for Huam Kitchen, as it is full most of the time. The kitchen receives two teams a day, for lunch and dinner. According to Lee, the booking rate is over 90 percent. “We were surprised too, by the kitchen’s popularity. We realized, ‘Young people are really in need of a space to cook,’” Lee said. The kitchen opened last March. Lee and his team, who are architects interested in urban regeneration, came up with the idea. “We were interested in bringing people out of homes to villages. Those who are living alone find it hard to do something at home with others due to limited space. We wanted to create a shared space within a village,” he recounted. While many are requesting or offering to make more shared kitchens in other districts, Lee and his team are sticking with Huam Kitchen. “There is this guy who regularly uses the kitchen. He comes with his friends and they cook banchan (side dishes). After having a meal, they divide the leftover banchan and take it home,” Lee said. Like Huam Kitchen, My Kitchen is a shared kitchen. 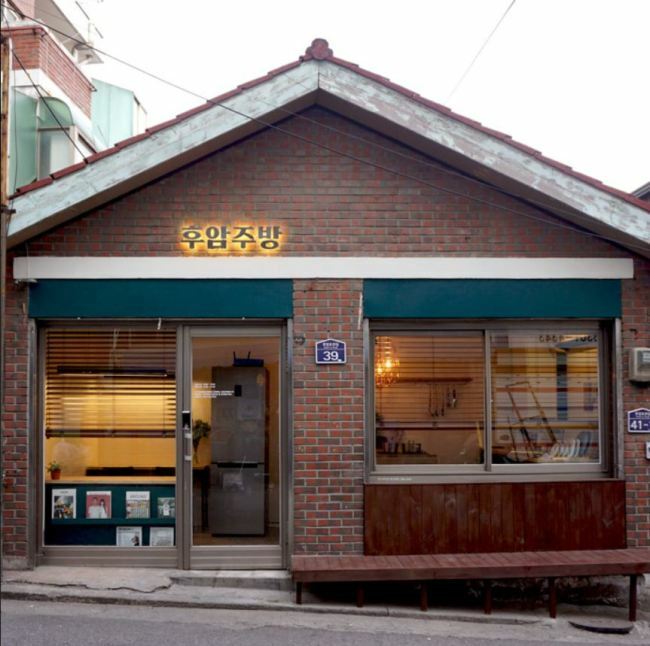 It is located near Mangwon Market, known for its variety of products and cheap prices. The kitchen is mainly equipped with Ikea products, suiting the preferences of young users. It costs between 8,000 and 15,000 won per hour to use the space. 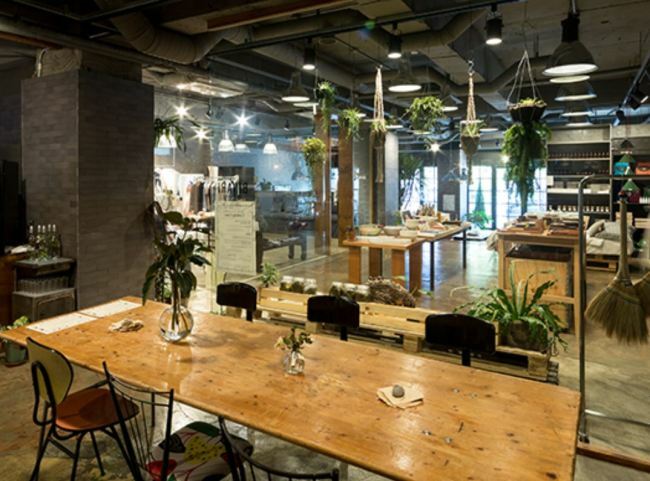 Jin-goo’s Table serves as a shared kitchen and a social dining space. The small rooftop house can be rented like other shared kitchens, and it is also a space for cooking gatherings. Young people living alone in the region regularly hold cooking meetings here. It costs between 10,000 and 15,000 won per hour. Chefs can share a kitchen, too. Binari is a cultural complex consisting of a cafe, a shop and a restaurant. The restaurant is shared by chefs. Depending on the day, chefs present different menus, sharing the same kitchen. The chef lineup changes every month, inviting professionals and amateurs to showcase their dishes to the public. The chefs sometimes present special menus, different from what they usually cook at their restaurants.